I have wanted to join a Fiber Arts Group (Guild) for many years, ever since I got my spinning wheel. The closest group is about a 45 minute drive away. When, I realized one wasn't going to magically start up in our area, I took my husband's advice and started one in our area. Our first meeting was in October of 2015. As I left the house, I told Mike that it may be a short meeting, if I ended up being the only one that shows up! Thankfully, that wasn't the case. There were about 10 ladies that attended the first meeting. There has been a lot of interest, and our small group is growing. First challenge was finding a place to meet. I am lucky to live in a small community with a great library and librarian. We have been allowed to use a room in the library, after hours. They have also allowed us to put up flyers, and have helped promote our group. Spread the word- Flyers, Facebook, and word of mouth. Those are the avenues that I chose to let people know about the group. Everyone has been great about spreading the word and bringing friends to the meetings. At our first meeting, we discussed what type of group we wanted to be. Formal? Casual? Casual was the unanimous vote. We meet once a month, the same day/time every month. You can bring whatever you feel like working on. There has been some teaching for those who are interested in learning a new skill. One thing in common with most crafters, they love to share their ideas and help others learn. The group is open to anyone interested in attending. 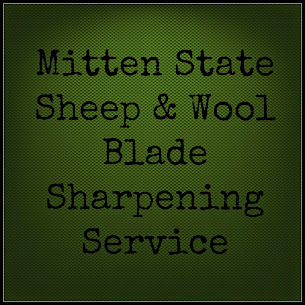 We have knitters, handspinners, felters, crocheters, weavers, and quilters. There are groups that are limited to a specific craft, but being in such a small area, we left it open to all. I am glad that I listened to my husband. It has been a great outlet for me, I love sharing the fiber arts craft. You Rock Sandra! This weekend, I am hoping to be able to go to spinning (yep 45 min away) for the first time in months. Keeping is open to a variety of arts is wise as they tend to intermingle and most appreciate what others are working on regardless. Sandra, you should give yourself a big pat on the back for starting the group. I'm sure all the gals are thrilled that you did. I like that everyone can feel free to work on whatever fiber art strikes their fancy. If your group wasn't who-knows-how-many-miles-away I'd sure be there. Have a great rest o' the week! Well, that is exciting. Good job! I think that it is awesome that you started your own fiber group! I have a local knitting shop that allows folks to gather there and it has been a lot of fun! Best wishes with your group! There is such a group in our area, fairly lose too. We meet the 3rd Monday night of every month, no matter what in the home / shop of a lady who has a fiber art shop and raises sheep, Ladies bring snacks if they feel like it and although most of the ladies spin, some will be knitting, crocheting, embroidering, etc. It really has been a sweet time of encouragement and ladies sharing with each other. Good for you , just doing it ! I think you'll all be blessed. I love this idea. May have to try something like this in the near future.